The other week marked the one-year anniversary of my last visit to Chicago, a city I try to regularly visit since a close friend lives there (meaning I don’t have to spend on accommodation and can do a whole lot of shopping instead). 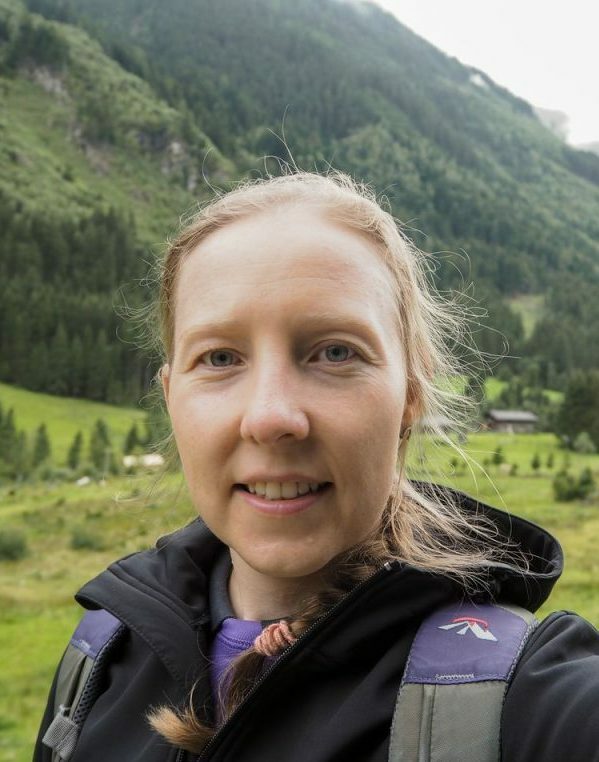 While I was a happy meat eater the first time I went in October of 2012, when I returned in late April 2014 I had already moved to the vegan side, interested what I would find to eat. 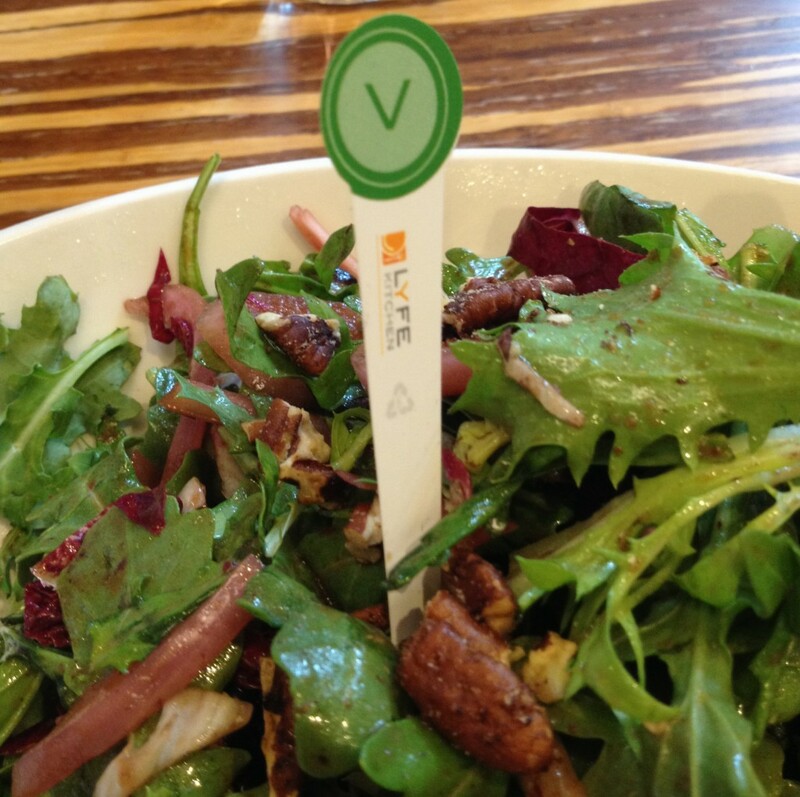 As always I first consulted Happy Cow app, then searched online. 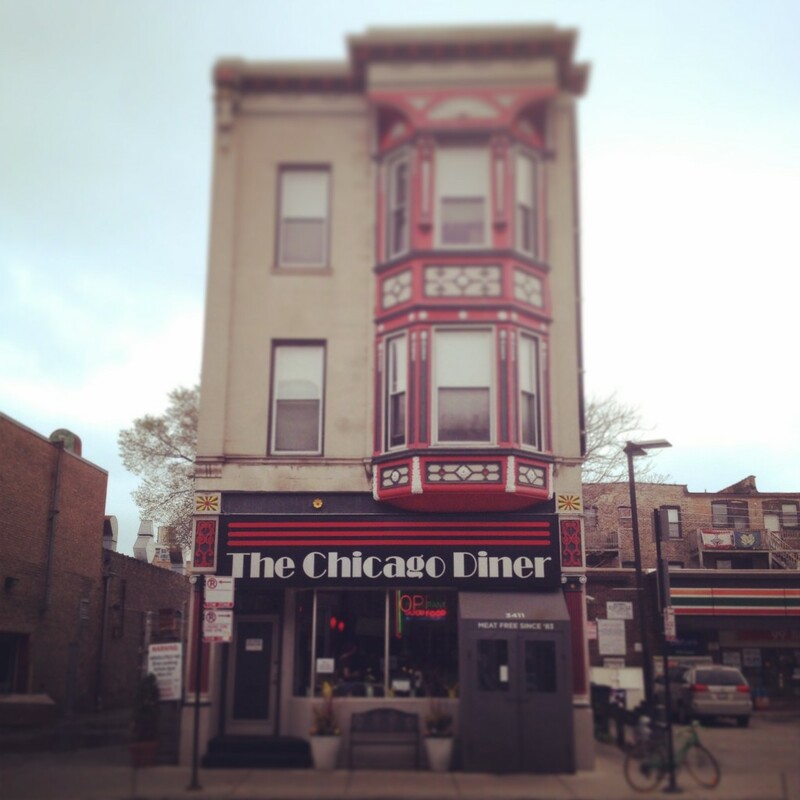 There I found a whole heap of places, reflecting the wide array of cuisines that Chicago can offer. 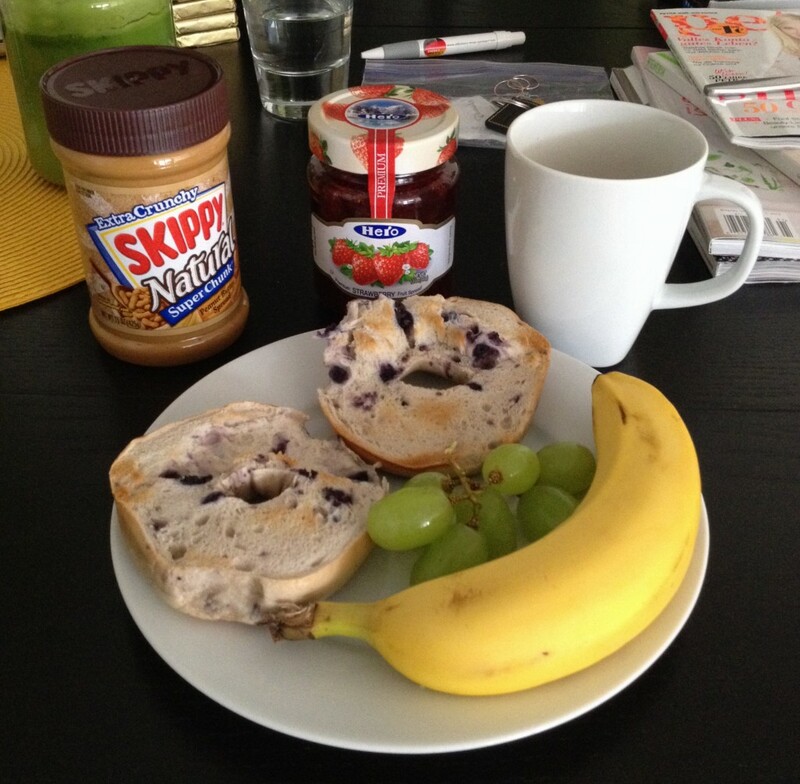 My everyday breakfast at my friend’s place: toasted cinnamon-raisin bagel with peanut butter and strawberry jam, fresh fruit and a coffee. Since my friend is allergic to soy we had to choose wisely when eating out together to make sure she survived the meal and there was some food for me as well, but this fortunately worked out (she’s still alive, I didn’t starve). Also, we home cooked a few times. Whenever I was by myself I would go to all the places that were soy-laden and dug in with both hands. 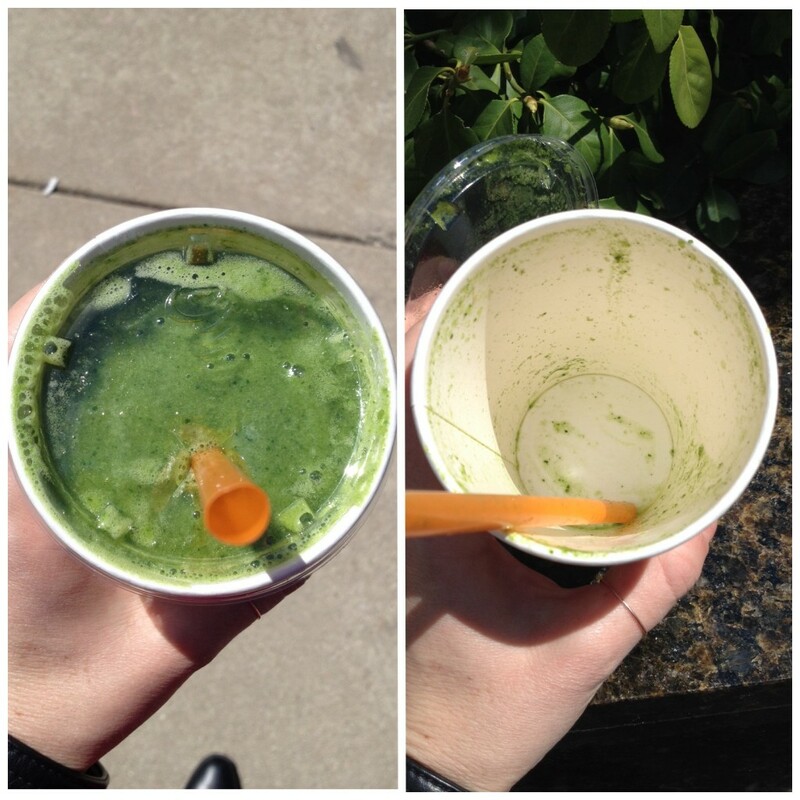 On my first day I had a Jamba Juice, then sat in the sun along the Chicago River with a quinoa bowl from Protein Bar. 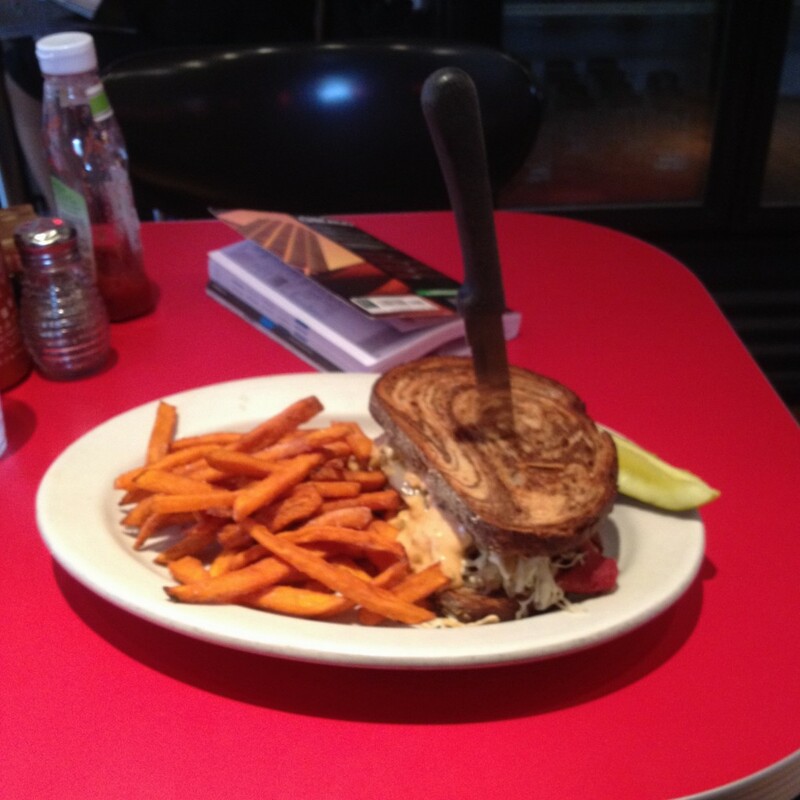 On another day I took the bus to Wrigley Field and walked all the way back to downtown, detouring for a filling lunch of soup, Reuben sandwich and dessert at the famous Chicago Diner. 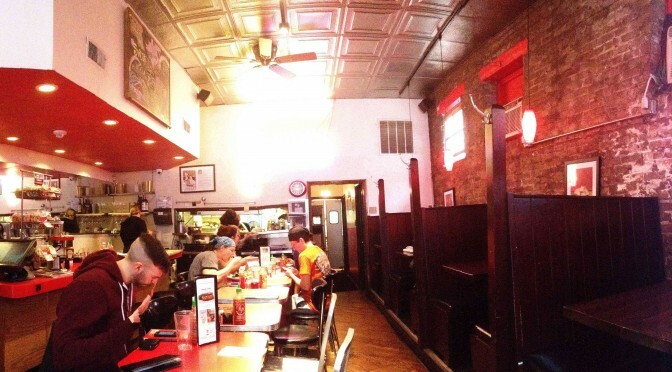 It not only provides tasty meals but the venue itself looks like my perfect idea of an American diner. Looks like a still from a Hollywood film, doesn’t it? 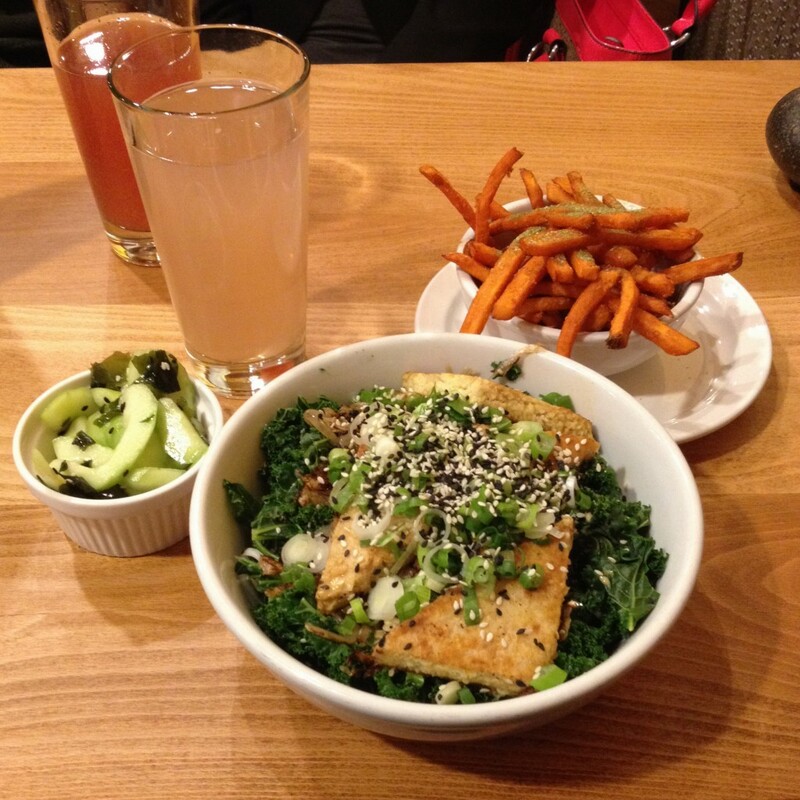 We also ate at Native Foods Café and may have stopped for a burrito or burrito bowl at Chipotle more than once. 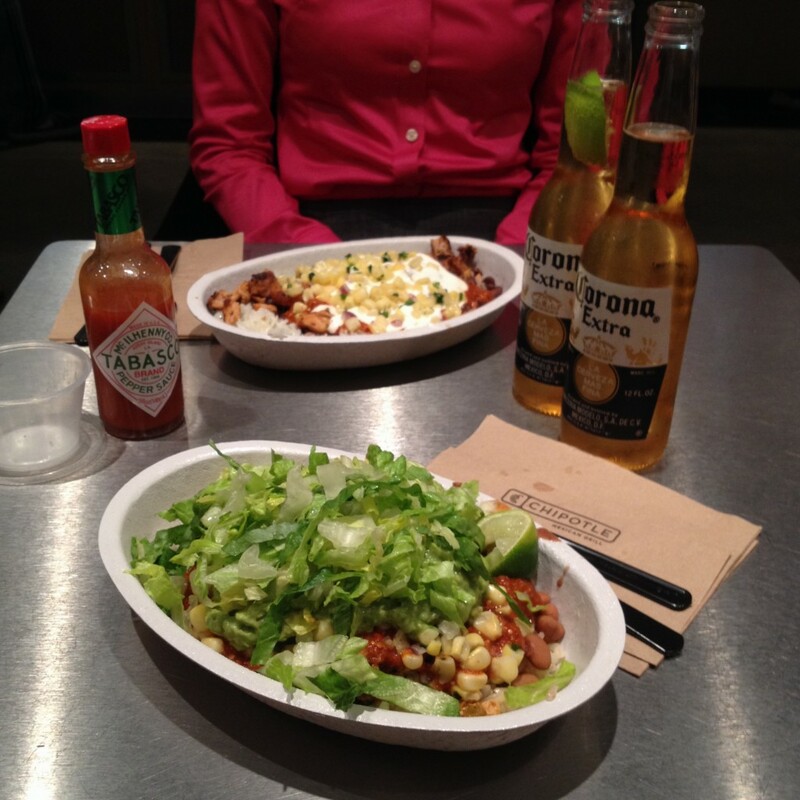 Chipotle burrito bowl with sofritas – and Coronas. 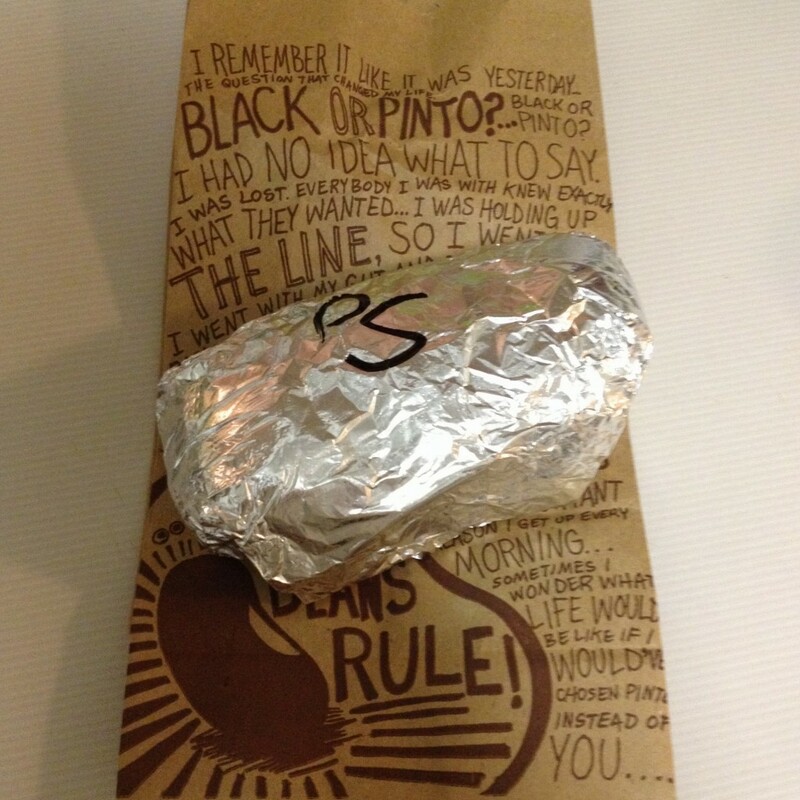 Chipotle burritos for the win! Chicago definitely is a good place for vegans. Have you been to Chicago? What was your favourite place to eat? I’d love for you to share it so I can bookmark it for my next visit, hopefully 2016.